Volunteer at Old World Wisconsin! Volunteers play a vital role at Old World Wisconsin by offering both their time and talents. With over 200 volunteers who contribute over 13,000 hours annually, volunteers work throughout all of Old World Wisconsin’s museum departments. From behind-the-scenes opportunities in collections and maintenance, to front-line positions like guest greeter or costumed interpreter, volunteers are an integral part of the Old World Wisconsin team.  If you love history and enjoy interacting with people, please contact Old World Wisconsin for more information on volunteer opportunities. Uniforms and/or period clothing are provided. Old World Wisconsin is owned and operated by the Wisconsin Historical Society and background checks are routine. Our Teen Volunteers are called “Apprentice Facilitators” and are part of a summer long preparatory program that lets these Future Historians take the reins and bring history to life for our guests. Click here to learn more! Please contact (262) 594-6301 or owwvolunteers@wisconsinhistory.org for more information. Employment at Old World Wisconsin! Help bring history to life! At Old World Wisconsin, our vision is to be a top history attraction by setting the standard for guest experiences that are engaging, enriching, authentic and relevant. This is only possible with talented and dedicated team members. Is this you? Most positions are mid-April through October, plus the first two weekends in December. We need workers for weekdays and weekends, part-time or 40 hours per week, and flexibility may be an option for some positions. Our normal museum hours are 10am to 5pm. Training, historic clothing and/or uniforms are provided.